CIPP – where do we go from here? the technology was protected by substantial patents and licensing policies. The tight grip relaxed in the 1990s and vigorous competition ensued as new processes and materials were introduced. These developments have strengthened the cured-in-place pipe (CIPP) brand, but inevitably the technology has suffered from commoditisation of the process. Products are no longer differentiated on brand, design or quality, and are bought solely on price. In this process, a common phenomenon as markets mature, prices come under pressure, profit margins shrink and R&D and customer service are sacrificed. Licensing was central to the CIPP business. Use of patents and know-how were regulated by exclusive agreements in defined geographical territory. Licensees received initial training and technical support from licensors who managed the supply of materials and equipment. Close support included assistance from skilled installers. Exchange of experience and continuous improvement was beneficial, serving pipeline owners well, maintaining knowledge and standards. However, over time, commoditisation fragments know-how and technology enhancement. As licensed networks break up, technical controls must be put in place by pipeline owners and industry regulatory bodies to maintain standards. The process of regulation typically evolves from proprietary manuals through industry codes to international standards. In the case of CIPP, the WRc 4-34-04 specification strongly influenced the development of BS EN 13566, now replaced by ISO 11296. The first CIPP installation involved pulling into place a polyester impregnated felt liner, inflating and leaving to cure at ambient temperature. 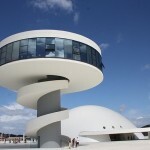 With improved materials this evolved into the familiar water inversion and heat cure process. Air inversion and steam curing took CIPP into water and gas mains. In 1985, UV methods were launched. Commercial pressures saw the use of fillers or resin extenders to improve flexural elastic modulus and heat transfer, as well as reduce cost. Awareness of infiltration through the joints in house connections led to lateral lining methods. Market demand, particularly in North America, and the expiry of original patents stimulated growth, and new faces entered the marketplace. The growth in demand has encouraged an increase in liner and resin manufacture and distribution by companies, beginning a progression towards commoditisation leading to distribution of materials and equipment through merchants and hire firms with limited technical support. Small diameter installation by pulling in, inflation and ambient cure is less demanding than inversion and heat cure with regulated installation pressures, curing and cooling cycles and precise mixing equipment. More recently, glass fabric linings installed by air inversion and cured with steam and UV has grown popular for gravity and pressure. In Germany, glass fibre liners make up 63 per cent of liners installed, and UV curing methods are used in Europe for 40 per cent of liners. Vinyl Ester and epoxy resins are employed for extra chemical and temperature resistance; epoxies are used for potable water linings. However, polyester resin is preferred for the sewer rehabilitation, where market share is still thought to be 90 per cent. The private sewer market, growing strongly, uses epoxy resin and silicate resins. There is a debate about the hazards involved in the use of resins. Styrene, a major constituent in polyesters, is classified in Europe as ‘possibly carcinogenic’. The UK HSE, working for the European Union, has concluded there is no clear evidence of a causal link between styrene and cancer mortality. Recently, the US Department of Health and Human Services reclassified Styrene as a ‘reasonably anticipated carcinogen’. The American Composite Manufacturers Association contests this, but in the meantime industry professionals have to determine how best to respond. Epoxies, though not listed as carcinogenic, are cited as very toxic, requiring careful handling. These polymers are hazardous on skin contact and dangerous if inhaled, so precautions must be taken to protect installation workers who can become sensitised after repeated exposure. The public are sensitive to odours; styrene in particular is detectable in low doses, and epoxies have a characteristic smell which can also raise concerns. Contractors must take steps to safeguard the public and demonstrate compliance with health and safety requirements. Polymer resins shrink on curing. Crosslinking, the process which generates strength and stiffness, and cooling both involve a volume reduction. The extent depends upon resin type, curing temperature, reinforcements and fillers. Measurements of shrinkage for neat polyester are typically 6–7 per cent whereas epoxy resins exhibit 2–3 per cent. Does it matter? There are mitigating factors; mechanical or chemical bonding restricts shrinkage and the installation pressure expands the hot plastic pipe to restore the close fit, counteracting shrinkage. Whilst it is easy enough to demonstrate in the laboratory, the real problems may be minimal if the liner is properly installed. The issue has become a talking point used to promote one material over another. However, it is more important to focus on real issues: laterals and their joints, with the sewer main, are responsible for 50 per cent of the infiltration. Effort is better invested in sealing the system than bickering about the resin. The challenge is to develop methods with improved productivity and lower costs. This may find a fruitful testing ground in the UK with the addition of 200,000 km of private sewers to the network, and the introduction of new service standards by the Water Services Regulation Authority. Installation failures are rare where installers are properly trained and owners supervise workmanship. International standards like ISO11296 and corresponding ASTM documents can inform quality contract specifications. Many call for trained engineers and installers — admirable sentiments, but little training is available. We need good courses in CIPP and education for engineers to understand installation and quality issues. The ‘out of sight, out of mind’ nature of the industry lends itself to mismanagement, unless contractors and owners take good practice and quality to heart. The IKT Report has driven the popularity of glass-reinforced liners in Europe. It details performance in tests of modulus, strength, thickness and impermeability to establish liner fitness for purpose. The reports, published since 2003, provide owners with facts about compliance with standards. The drive for improvement is leading suppliers to focus on materials. Progress is being made in the US to develop resins. Sustainable low emission products are expensive but they will close the price gap with increased use. Reinforcing fibres provide a greater proportion of product performance and lower resin usage minimises chemical issues. Providers constantly strive to reduce costs, moving from hot water to steam, and UV cure can cut hours off installation times. Owners can develop efficiencies by encouraging innovation, releasing work in packages, allowing contractors to best use resources. Thermoplastics may be another alternative. The Aqualiner process developed with three UK WASCs has WRc Approval and meets NSF61 for contact with potable water. Licensed to OnSite Central, Aqualiner had its first commercial outing at Portland for Wessex Water in 2010. The glass and polypropylene composite has no hazardous constituents and a long life. The thermoplastic provides the opportunity for welded joints and easy maintenance. The liner exhibits a tight fit, high strength, good abrasion and chemical resistance. This development is perhaps the next generation in the ongoing story of CIPP linings. 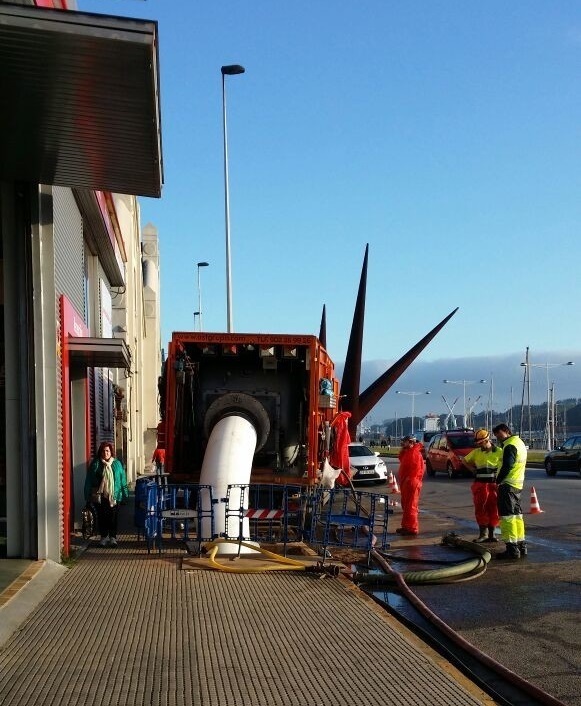 The first CIPP installation involved pulling into place a polyester-impregnated felt liner, inflating and leaving to cure at ambient temperature. La Asociación Española de Abastecimientos de Agua y Saneamiento (AEAS) celebrará la próxima XXXIII edición de sus Jornadas, los días 28, 29 y 30 de abril en la ciudad de Burgos, con la colaboración de Aguas de Burgos como empresa anfitriona.Como en otras ocasiones, el programa técnico de las Jornadas se complementará con el Salón Tecnológico del Agua, donde las empresas más representativas del sector mostrarán su actividad y últimas novedades, sea como operadores de abastecimiento y saneamiento, consultores o fabricantes y suministradores de sistemas, equipos y productos.Una edición más, las XXXIII Jornadas AEAS constituirán el principal foro de encuentro, a nivel nacional, de profesionales, empresas e instituciones para el debate y transferencia de conocimientos de aquellos aspectos que suscitan mayor interés relacionados con el ciclo integral del agua. 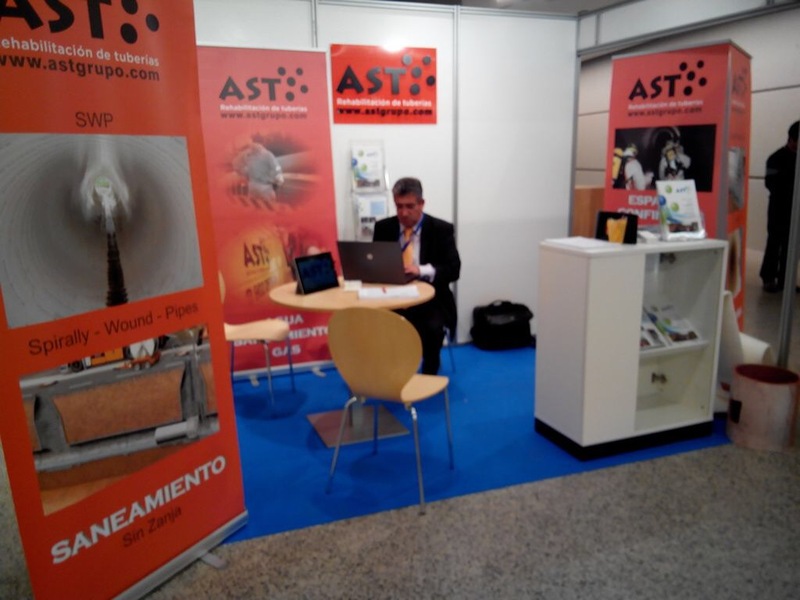 AST Grupo estará presente (Stand A-02) donde presentaremos nuestros últimos sistemas de REPARACIÓN DE TUBERÍAS con TECNOLOGÍAS SIN ZANJA. Entrada publicada en NOTICIAS on 20 abril, 2015 por AST Grupo. 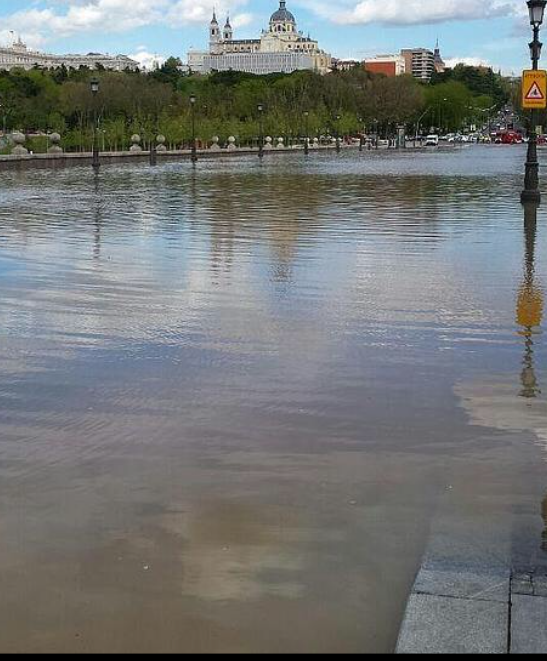 El Puente de Segovia, que atraviesa el Río Manzanares, se ha visto inundado a primera hora de esta tarde como consecuencia de la rotura de una tubería de agua que pasa por el paseo Virgen del Puerto, afectando a parte de la Calle-30, que se ha cortado a la altura de dicha calle. Según han informado fuentes de Emergencias Madrid, la vía de agua habría reventado, provocando un socavón en el paseo Virgen del Puerto e inundando el mencionado puente. Además, el tráfico se ha visto cortado en la zona en la dirección hacia el Estadio Vicente Calderón. Cuatro dotaciones de bomberos han sido necesarias para achicar el agua del puente y devolver la situación a la normalidad, según han informado fuentes de Emergencias Madrid. El Puente de Segovia quedará cerrado durante este domingo y el lunes tras la rotura de una vía de agua a primera hora de la tarde que le ha causado un socavón e inundado el puente, según han informado fuentes municipales. Entrada publicada en NOTICIAS on 19 abril, 2015 por AST Grupo. 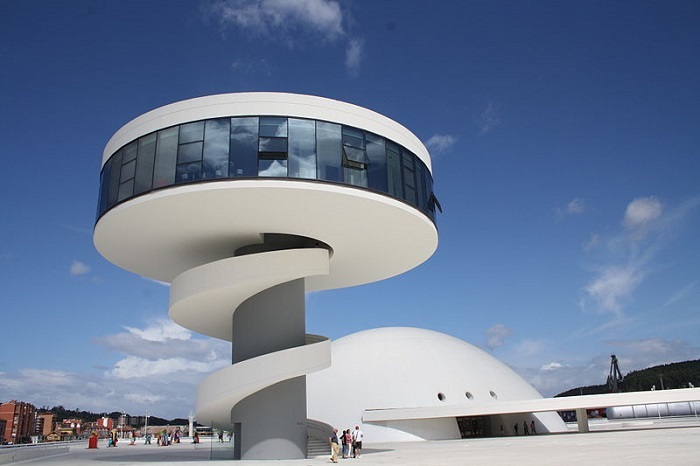 Avilés, Asturias, concretamente en la Avenida Conde de Guadalhorce lindando con el Paseo Marítimo donde se eleva la “Escultura Avilés” y muy próximo al “Centro Cultural Internacional Oscar Niemeyer” (http://www.niemeyercenter.org/) se opta por la ejecución de rehabilitación de colector de aguas residuales DN 800 mm con Tecnología sin zanja, concretamente con encamisado ajustado (manga continua impregnada con resina epoxi). La decisión sin lugar a duda ha sido la más apropiada pues el tráfico rodado no se afecto en ningún momento y el plazo de ejecución desde que el equipo de AST Grupo se instaló en pozo de ataque 6:30 hasta que se retiró 12:00 tan solo fue necesario señalizar pozo de ataque en acera y pozo de salida en jardín. Si la concesionaria de la gestión del ciclo integral de agua “Aguas de Avilés” hubiese optado por obra convencional con excavación el plazo hubiese sido notablemente superior y el daño social también pues se hubiese generado retenciones de trafico importantes. Entrada publicada en Blog on 6 abril, 2015 por AST Grupo.